Himatangi Beach is spectacular - semi-isolated and off the beaten tourist track. Small community of approximately 400 permanent residents that can swell to around 1,200 during the summer weeks. Community serviced by a local store and takeaways, a fun and casual Cossie Club, a Surf Club, Community Hall, Volunteer Fire Brigade, and a well appointed local childrens playground. The Village is a perfect place for a well earned rest - you can walk for 10kms each way along the coastline, that can, on occasions be wild, windy but just as often sunny, calm and perfect for fishing, swimming and family gatherings. The local Bowling Club, adjacent to the accommodation is busy and fun and hosts many tournaments. The beach is a paper road, and you can drive to Foxton to the south and Tangimoana in the north when conditions on the coast allow. Come visit us and enjoy the culture, and the home made Breakfasts included in the nightly rate. We would welcome you. We are happy to host small dog - please discuss this with us as we also have a dog on the property. 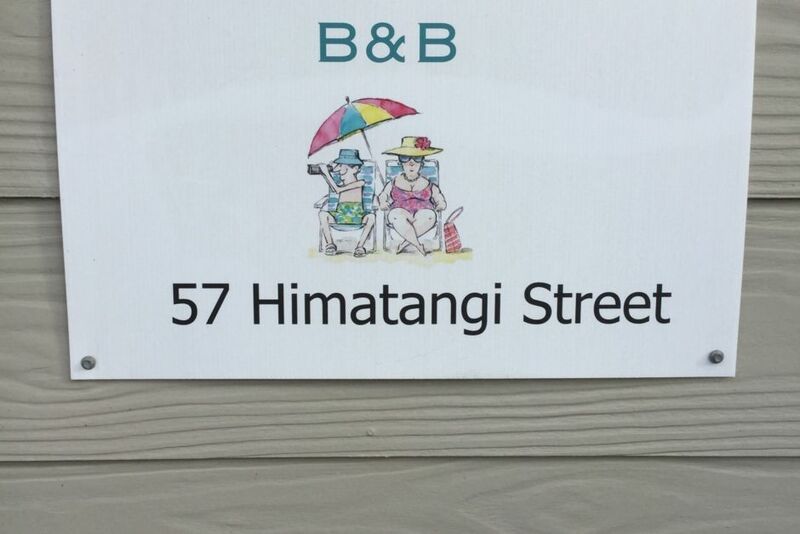 Quiet and restful being run by local older couple who live on the premises. Right on the west coast - can be wild, but equally calm - great for families and fishing. Small village of approximately 400 residents full time with many properties being baches and family holiday homes. One store, one club, surf lifesaving property small intimate and old school village. Milk provided for tea and coffee. Continental breakfast provided. Basic cooking facilities. We can provide a small gas barbecue on request. No specific dining area available. Thanks for a great stay Baz and Denise! It was a lovely, clean and cosy spot. Really close to the beach and playground. You were so helpful, friendly and really welcoming. We loved the breakfasts too! We would definitely come back for another holiday. Very clean comfy and homely. Loved it! Thank you for your kind words. Was lovely to meet you both, do hope your new adventure is amazing and good luck. Perfect beach escape, clean, fresh and comfortable. Value for money!